Home > Culture • General • Shopping > Saratoga’s Newest Millionaire! 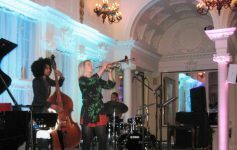 SARATOGA SPRINGS – I know what you are thinking. I never win anything. Why bother? Perhaps Bryan MacPherson thought that at one time… No more! 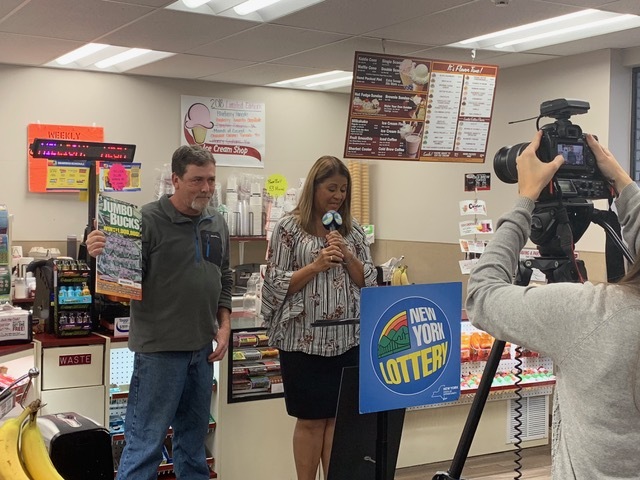 Bryan officially became Saratoga’s newest millionaire this morning – Nov. 1, as he accepted congrats and a big check from the New York Lottery’s Yolanda Vega at a presentation at our local Stewart’s Shop on South Broadway. 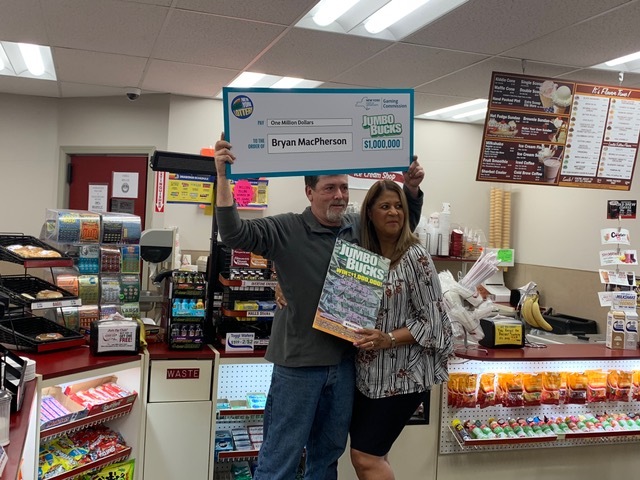 It was there that Bryan recently purchased a Jumbo Bucks scratch off card, and changed his life forever. That pretty much sums it up. Congrats Bryan! Next Article To Life! To Twenty Years of Hope! 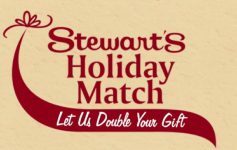 Stewart’s Holiday Match is ON!